Providing personalized health and wellness is at the core of the Baylor Scott & White Health mission. We strive to do this every day and extend our care into the communities that struggle to find resources to stay healthy. By investing in clinics, programs and services for the uninsured and underinsured, Baylor Scott & White is reaching more populations at risk and helping individuals and families lead healthier, happier lives. Baylor Scott & White works with its primary care infrastructure of HealthTexas Provider Network practices and Scott & White Clinics to provide care to low-income patients in the community and following discharge from a Baylor Scott & White hospital. Teams of care coordinators and community health workers help patients transition successfully from the hospital to the medical home clinic. These patient-centered medical homes increase access to health services and help patients overcome barriers that may be preventing them from receiving necessary care. 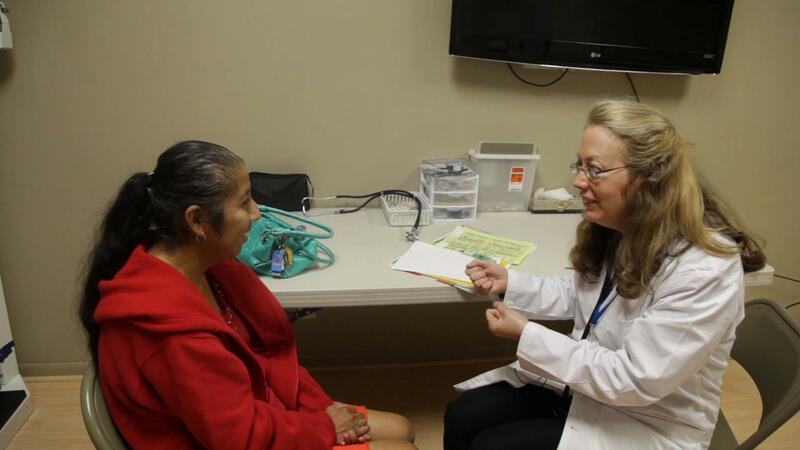 The clinics provide comprehensive primary care and preventive health services and education, and as a result, these medical underserved populations may avoid hospital admission and improve their overall health and wellness. The Diabetes Health and Wellness Institute (DHWI), featured in Creating the Future of Health Care, illustrates the value of a patient-centered medical home in an at risk community. Seeing the rise of chronic disease in the economically poor community in southern Dallas, Baylor Health Care System (the legacy organization of Baylor Scott & White Health-North Texas) partnered with the City of Dallas to establish the DHWI to improve the management of diabetes and related health conditions. DHWI’s preventive and disease management services are supplemented by onsite exercise classes, nutritional cooking classes, counseling services and education. The Institute also holds a weekly ‘Farm Stand’ offering fresh fruits and vegetables at low-cost to residents of the community to address the lack of local healthy food options. Baylor Scott & White’s compassion behind community benefit efforts like the DHWI is further explored in the final part of Creating the Future of Health Care, The Cornerstone of our Mission: A Christian Ministry of Healing.